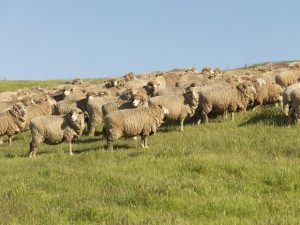 SOUTH Australia’s state government has approved $3.7 million in cattle and sheep industry funds for a range of projects in the State including footrot management, enhanced abattoir surveillance, and Johne’s Disease management programs, as well as contributing to the state’s wild dog strategy. The Sheep Industry Fund and Cattle Industry Fund were established under the Primary Industry Funding Schemes Act 1998 and provide a way for South Australia’s primary industry sectors to raise funds so they can favourably position themselves in the national and international marketplace. The Minister for Primary Industries and Regional Development Tim Whetstone last week approved $3.12 million to support initiatives from the Sheep Industry Fund and $579,000 from the Cattle Industry Fund as recommended by the South Australian Sheep and Cattle advisory groups. Projects to be funded in 2018-19 from the Sheep and Cattle Industry funds include footrot management, enhanced abattoir surveillance, and Johne’s Disease management programs, as well as contributing to the state’s wild dog strategy. Minister Whetstone said farmers’ contributions provide an important stimulus to the growth of the livestock industry in South Australia. “South Australia’s cattle and sheep industries generated $4.1 billion in revenue in 2016–17 and make a significant contribution to the state’s economy,” said Minister Whetstone. “The Marshall Liberal Government has a vision for our livestock industry that would see an increased flock and larger herd to take advantage of strong cattle, sheep and wool returns. “It’s essential the funding focusses on key animal health programs to manage sheep diseases, OJD and footrot, as well as sheep lice and other programs delivering disease surveillance and traceability,” said Mr Rowett. “The Bovine Johne’s Disease and National Livestock Identification Scheme compliance programs are crucial to maintaining access to existing markets, securing new ones and supporting efficient and sustainable production,” said Mr Cleggett. “Supporting the South Australian Junior Heifer Expo and Dairy Youth Development Program will ensure there is a strong future for the cattle industry. Source: PIRSA. View more information about the projects to be funded below and at www.pir.sa.gov.au/sheep-industry-fund and www.pir.sa.gov.au/cattle-industry-fund.